Although India-Forums has frequently called out Bollywood's sequel, remake and patronage culture, the latter never seems to get over any of them. Following the same, Dharma Productions and Fox Star Studios unveiled the trailer of their latest outing, Student Of The Year 2 (2019), an installment in the Student Of The Year (2012) series, releasing on 10th May 2019. Essaying the lead characters are Tiger Shroff and debutantes Tara Sutaria and Ananya Pandey, while the supporting cast comprises of Samir Soni, Aditya Seal, Manoj Pahwa, Farida Jalal and internet sensations, Mallika Dua and Bhuvan Bam. First things first, the trailer lacks a disclaimer stating a college like St. Teresa's is yet nowhere to be found in India. Nonetheless, the trailer rolls out with the principal declaring the inter-college competition open. Shroff rehashes Sidharth Malhotra's role from the prequel, of the new guy who creates a stir in college with his looks and many talents. His skills are depicted by slow-motion Kabaddi shots, aerial dance moves and casual action sequences. On the other hand, Sutaria's character is filled with an ambition to excel in dancing. While they both find solace in each other's company. Panday is introduced as a rich arrogant brat, who initially shuns Shroff but eventually falls for him. The three-minute clip follows the journey of Shroff, as he struggles to survive in a high-end institution and compete with snide classmates to win the prestigious Student Of The Year trophy. There is not one frame without Shroff, implying that the movie centrally revolves around his motives. The girls appear to be props, to spark the desired love-triangle in the story. Aditya Seal and Shroff are seen throwing flying kicks at each other several times, with an unclear context. Sutaria kick-started her career with television sitcoms and reality shows, and her on-screen presence does leave an impact. Panday is a Bollywood fresher, except that she's the daughter of yesteryear comedian Suyash Pandey aka Chunky Pandey. Karan Johar hands over the directorial reins to Punit Malhotra, who clearly followed the former's footsteps. The trailer fails at exploring the cast's acting prowess or chemistry. Dharma Productions' cinematography is always pompous, so Ravi K. Chandran does a commendable job. Steven H. Bernard's editing appears to be sloppy, at least of what we could make out of the trailer. The music seems peppy enough to match the movie's mood. However, Vishal-Shekhar have created a tragic remix of Kishore Kumar's "Yeh Jawaani Hai Diwani from Jawani Diwani (1972). We hope the remaining of the album is adequately brilliant to compensate for the blunder. The first batch of the Student Of The Year series passed out with flying colours and carved a niche for themselves in the industry. Rumours of Alia Bhatt, Varun Dhawan and Sidharth Malhotra having cameos in the second installment have been around, and we may only be excited to watch them together on the silver screen. Johar may be the ambassador of nepotism, but at times he tends to forget that audiences now prefer content over legacies. 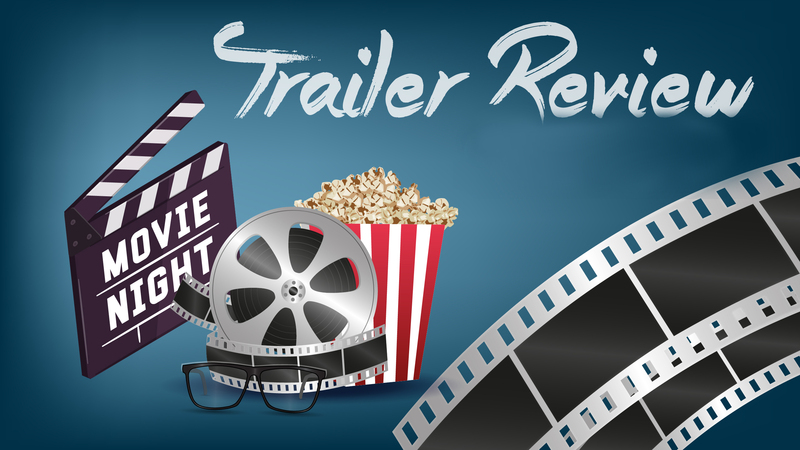 While we grade the latest batch with a kind 2 out of 5, we urge you to tune into YouTube or your favorite video streaming website to give the trailer a watch. Comment below to let us know if this could be the movie of the year!